Keeping your kids safe while at home is a priority for all parents. Teaching them these 9 rules will help keep them out of harm’s way. 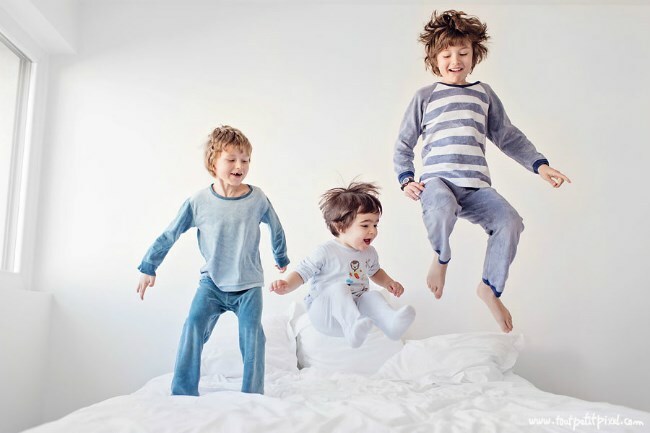 It may not be possible to always keep a watchful eye over your kids, there are a few handy rules that you can lay down to ensure that your kids remain safe even when you aren’t around. All children regardless of age should know how to use a telephone and ask for help. Teaching children to memorize important contact information, as well as how to react in the event of a home emergency, can help them take charge of their safety. Depending on your child’s age and development, they might not be able to easily identify a dangerous situation. Parents should consider role-playing with their kids to make them more knowledgeable on how to identify and react to a home emergency. This is also a good time to ensure that your child is able to state their full name, age, and address as well as the contact details of his/her parents. For younger children, it’s a good idea for a list of emergency contacts to be easily accessible. The contact list should be placed in a central area of the house, like on the fridge door. The emergency list should include the contact details of the local police station, fire department, paramedics, the family doctor, as well as a contact number for each parent, and/or a trusted friend or family member. 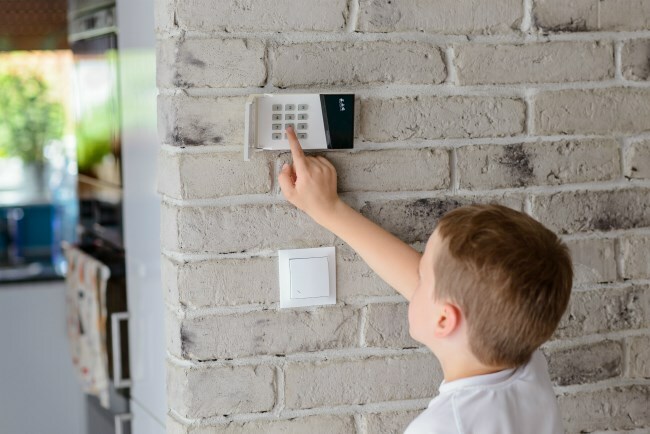 If your home happens to have a security system installed, it’s important that your children understand how to operate it. Whether they need to let themselves into the home after school or deactivate a false alarm, children should know how to arm and disarm the alarm system. It’s also important for kids to be able to locate the panic buttons and know how to activate them. Be sure to stress the importance of keeping this information confidential. Kids should be reminded that arming and disarming the alarm is a family-only secret and should never be shared with any stranger. It’s crucial for parents to stress the importance not allowing strangers onto the property. Children should be encouraged to keep all doors around the house locked and secure. They should also be advised not to open the front door to anyone that they do not recognise, especially when home alone. Consider installing security cameras around the house so that your kids can view who is at the door without having to jeopardise their safety. A family emergency escape plan should be a priority when it comes to teaching your kids about home safety. It is crucial that your kids are aware of what measures to take in the case of a burglary, natural disaster, or fire. In creating your family’s escape plan, the most important thing is to teach your kids the quickest way to get out of the house. Draw a diagram of your property and highlight the best escape routes for your home. Remember to designate a place to gather outside, in order to account for the safety of each family member. In your emergency escape plan be sure to also teach your kids basic life-saving techniques, like CPR and how to use the first aid kit. Make sure that the first aid kit is in a location which is easily accessible and that your kids are familiar with everything inside of the kit. Children can easily drown in just a few inches of water, which is why children under the age of six should always be supervised while taking a bath or playing in a pool. Kids have thinner skin than adults and are more vulnerable to burns. To avoid scalding, children should always be taught to test the temperature of water, before fully submerging their bodies. Children should also be reminded never to mix water and electricity as this can lead to electrocution. Things like toasters, hair dryers, radios, televisions, lamps or anything that is plugged into an electrical socket should never be held with wet hands. It is imperative for children to practice basic swimming and floating techniques so that they don’t panic in the water. 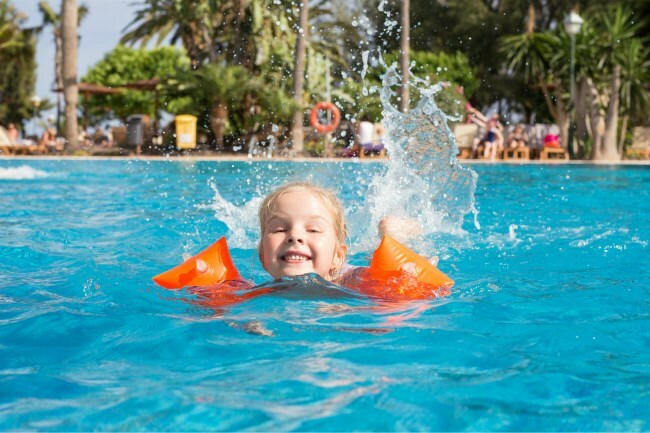 If your child is still learning to swim, make it a firm rule that he/she wears protective water gear, such as flotation armbands or vests to help keep them afloat in the pool. If your child is allergic to any food group, it is crucial that you teach them the importance of understanding what it means to have a food allergy and how to stay safe. Through clear communication, you can help your child understand the difference between “safe” and “unsafe” foods as well the dangers of consuming foods which affect their wellbeing. Parents should always ensure that all medication is stored in a lockable cabinet and is not within easy reach of children. Any type of medication, including those intended for children, can be dangerous for kids if ingested in large quantities. Young children should always be warned never to take any medication that has not been given to them by their parent or a trusted adult. For older children who are capable of taking their own medicine, it is still advisable for parents to supervise them to ensure that the correct dosage is consumed. Children do not think about furniture as being something that could harm them. However, heavy items which aren’t mounted to a wall, like an unsteady television set or bookshelf, can cause serious injury to a child if climbed on. For this reason, parents should be stern in their ruling and ensure that all furniture around the house is a no-go zone for kids. While most kids are wary of fire and understand the dangers of it, others are often curious and try to experiment with matches or gas lighters found around the house. It’s important for parents to warn their kids that it is never acceptable to play with fire, even if an adult is present at home. Here's why putting together a home security system that works for your lifestyle is important, for your family and your future. Fire safety is often an afterthought for homeowners, but installing fire safety equipment and implementing an evacuation plan is essential. Here's how you can keep your family and home safe.